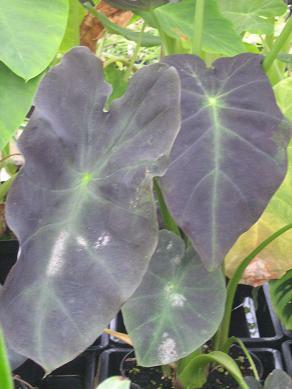 A beautiful plant with dark leaves and glowing green marks along the veins. Very late to emerge after a cold winter and really much better in a greenhouse. 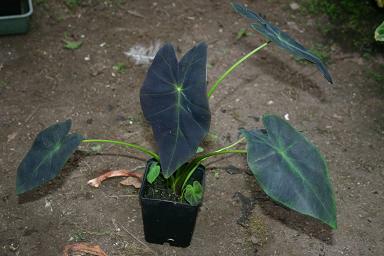 I obtained it as Colocasia esculenta var antiquorum, but the dark leaves make it clear that it is the cultivar 'Illustris'.